Do you insist that people prove their love to you? Do you push your children, spouse, siblings, parents, and even friends to pay more attention to you – and make them feel guilty if they want to do anything that doesn't include you? If so, you may be suffering from a terrible feeling – that of being unloved and unwanted. To make yourself feel better, you try to make everyone around you prove that they love you by spending time with you, or by doing favors, tasks, and errands for you. Do you insist that your grown children spend every holiday with you – even though there's another set of parents who also want to see them? Do you force your spouse to go along with your favorite leisure activities, even though he or she would enjoy doing something else? And is it never enough to relieve your doubts? Your logic tells you that they wouldn't be going along with your dictates if they didn't love you. But then the other side says that they're only doing it to avoid feeling guilty. And the truth is, the more you continue with this behavior, the more that might be true. You're in a negative Chicory state, and you need to get out. Treat your condition with the Bach Flower Essence Chicory, and start feeling better. Chicory will allow you to love and appreciate yourself, and to accept and appreciate the love you receive from others, rather than doubting it. Once you let go of your insecurities, the people you love will enjoy your company more – and will WANT to spend more time with you. It's a win-win! 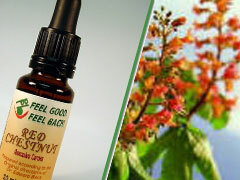 To learn more about the amazing emotional healing powers of Bach Flower Essences, visit FeelBach!